Thuraya Telecommunications Company is an industry leading MSS operator and a global telecommunication provider offering innovative communications solutions to a variety of sectors including energy, broadcast media, maritime, military and humanitarian NGOs. The company, which is headquartered in Dubai, United Arab Emirates, boasts a diverse range of technologically superior and highly reliable mobile satellite handsets and broadband devices that provide ease of use, value, quality and efficiency. Thuraya remains committed to serving humanity through delivering the essential tools for optimal connectivity, never leaving anyone out of reach. Thuraya Communications is one of the most reputable companies in the world since its inception in 1997, and is renowned globally for developing some of the most cutting-edge innovative communication solutions that serve a wide range of industries all across the world. Its commitment and strategic approach towards embracing innovation have been at its core and are two of the fundamental factors of its success. This has been evidenced further by the launch of two new 'groundbreaking' solutions by the global telecommunications provider - which has elevated the company to reach a new milestone. The new revolutionary solutions they've introduced to the market are the Thuraya X5-Touch, which it has claimed to be the world's smartest satellite phone and the Thuraya Tracking and Monitoring (T2M) solution. The Thuraya X5-Touch is the first Android-based satellite and GSM phone in the industry offering unparalleled flexibility for users. Thuraya Telecommunications unveiled the world's first satellite smartphone during its partner conference in Dubai. The Thuraya X5-Touch runs on the Android Operating System and has a 5.2" full HD touchscreen. It targets users who frequently move in and out of terrestrial coverage across a range of market sectors including government missions, energy projects, enterprise communications, and NGO deployments. The phone offers fast and simple connectivity on the move, in remote areas normally beyond the reach of smartphones. The Thuraya X5-Touch is a step closer towards complete convergence between terrestrial and satellite communications through its full dual-mode and dual-SIM capability. It has two SIM-card slots for full user flexibility, and with the dual-active mode, it has the ability to have both its satellite and GSM (2G, 3G, or 4G) modes 'always on' simultaneously. To cater for the needs of users in harsh and remote conditions, the Thuraya X5-Touch comes with a Gorilla® glass display, is the most rugged phone in the MSS industry with an IP67 standard for full dust and water protection, and complies with MIL standard. It also has a host of advanced features and functionalities including a high-capacity battery for extended talk time and standby time, a built-in SOS button and a front and rear camera. Ahmed Al Shamsi, acting Chief Executive Officer at Thuraya said, “Today, Thuraya reached a new milestone by introducing another innovative and ground breaking product to the MSS market. Building on the heritage of a long line of successful satellite phones, this new development focuses primarily on delivering a unique and more interactive experience to our customers. With the Android platform there is already a multitude of Apps readily available to work on the Thuraya X5-Touch, and developers will have easy access to develop and customize Apps for the needs of their customers. It complements the “Bring Your Own Application" (BYOA) concept - customers have the flexibility to download any App of their choice, thereby breaking the paradigm and revolutionizing the way the satellite handset will be used"
The Thuraya X5-Touch is equipped with GPS, Glonass, and BeiDou systems for advanced navigation and tracking functions, which are important safety features during critical situations and it comes with Wi-Fi, Bluetooth, and NFC. “The Thuraya X5-Touch is a game changer and a big step forward in design and functionality placing it in a league of its own," said Alexander Lachner, Director of Voice Services at Thuraya. “Creating smarter satellite phones is our constant goal and we are happy to offer our customers a new user experience that many in the industry have been asking and waiting for." The advanced omni-directional satellite antenna on the Thuraya X5 Touch ensures uninterrupted communications, offering seamless walk-and-talk functionality even in satellite mode. Thuraya's comprehensive satellite network provides reliable, clear and uninterrupted communications in more than 160 countries across Europe, Africa, Asia and Australia; and in terrestrial mode, the Thuraya X5-Touch supports most 2G/3G/4G frequencies across the world. The phone works either with Thuraya SIM cards or with GSM SIM cards or a combination of both. The Thuraya X5-Touch will be available at Thuraya Service Partners in Q4/2018. However, this isn't the only groundbreaking and innovative solution that Thuraya Communicatins has launched in 2018. The introduction of its first dual-mode Mobile M2M solution resonated with a number of businesses and industries who are constantly seeking to find new solutions that provide them with a competitive advantage, lower-risks and cost-saving potential. When Thuraya Telecommunications Company launched its Thuraya Tracking and Monitoring (T2M) service in conjunction with the launch of the first product release of the year, the T2M-DUAL terminal, it certainly struck a chord with a large number of enterprises. 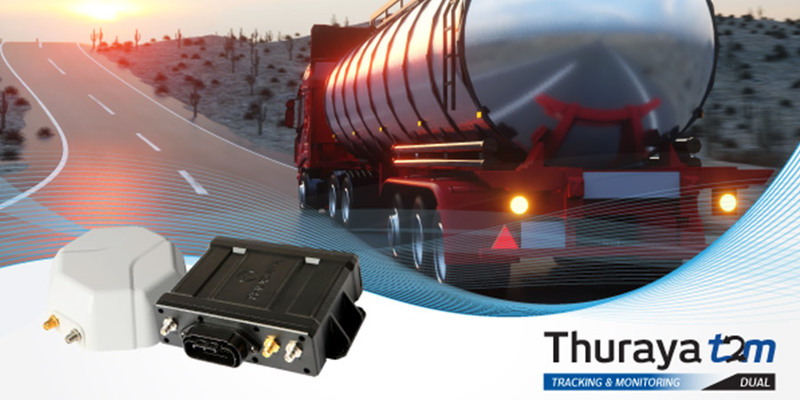 A mobile, dual-mode device for superior machine-to-machine (M2M) communications and remote asset tracking and monitoring, the T2M-DUAL enables the simultaneous collection of data from multiple points including location information; data from external sensors and peripheral devices, and input gathered from vehicle or heavy equipment CANBus. The T2M-DUAL's robust system and interoperability render it a top-class solution for widespread projects in sectors like transportation, logistics, energy, utilities, agriculture and mining. The terminal brings unprecedented ease of integration to applications that are traditionally more complex to manage and monitor such as vehicle tracking and fuel consumption, thereby resulting in operational efficiency. The flexible tracker allows for the integration of any third-party application and has several built-in smart features such as geo-fencing, network selection based on least cost routing, internal battery backup and location and sensor data. With dual-mode capabilities, T2M-DUAL ensures that connectivity is automatically maintained as assets move between regions covered by GSM and those that lie beyond the confines of cellular networks - under the strong and secure coverage of Thuraya's satellite-backed M2M network. The T2M-DUAl device is designed to support on-the-move M2M and IoT applications seamlessly on Satellite and GSM networks, allowing for optimized connectivity based on the best available network. The terminal is built to withstand harsh environmental conditions, vibration and shock. The T2M-DUAL's automated network mode selection is determined by least cost routing, which ensures unrivaled total cost of ownership. 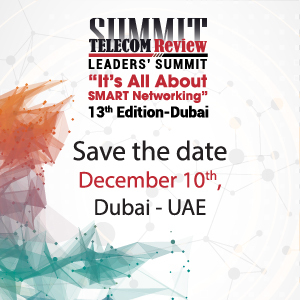 Rashid Baba, A/Chief Commercial Officer at Thuraya said, “Industries and businesses are constantly looking for solutions that give them a competitive advantage with lower risks, higher automation and cost-saving potential. As more players enter sectors like logistics and transportation, for example, the monitoring of remote assets on the move by managers increase opportunities for faster decision-making, deployments, worker safety, and operational efficiency. Thuraya's resilient network and IoT services already have a strong foothold across verticals that require high-security connectivity for remote, mission-critical operations. T2M-DUAL caters to these sectors' evolving needs and we are confident that it's well-placed to meet the market demands." Thuraya T2M-DUAL diversifies the company's growing M2M portfolio. Its advanced capabilities serve a different set of requirements than the previously released terminal, Thuraya FT2225, which provides M2M communications for fixed applications. Last year, Thuraya also launched its IP M2M service, which enhances remote communications by supporting high-throughput M2M applications and enabling the collection of large data amounts from inaccessible points and industrial zones. 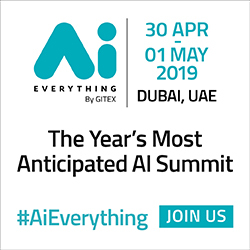 In addition to this, Thuraya Communications Company also conducted an in-depth and very fascinating case study which was entitled - Enabling scalable and affordable ATM connectivity in emerging Markets. The details of that particular case study are disclosed below. Automated Teller Machines (ATMs) require high-availability and secure IP connectivity. Traditionally, here terrestrial infrastructure is unavailable. This connectivity is provided via dedicated Very Small Aperture Terminals (VSATs). Thuraya M2M Mobile Satellite Services (MSS) partnered with ViaSat managed service and network and utilizes a low-latency and highly-secure worldwide satellite network to provide a significantly improved value proposition over existing satellite-based alternatives. ATM network architectures are based on a standard client/server model. An ATM Switch is used by financial institutions to route transactions between remote ATM Clients and core banking systems. ATM Clients provide the user interface/local functionality to generate requests to the server. ATMs are located in many venues and need to rely on the local communications infrastructure to provide IP connectivity to the centralized ATM Server. Local communications infrastructure may be comprised of a variety of technologies including wired terrestrial (e.g. cable, DSL, leased lines) and wireless terrestrial (e.g. 3G/4G cellular). In regions with underdeveloped terrestrial infrastructure, ATM IP connectivity may be forced to depend on unreliable connectivity options or higher-cost dedicated VSAT-based systems both of which may not fully cover the cybersecurity risks. Africa, the Middle East and East Asia have strong potential for future economic growth. However, financial institutions in these regions are challenged with finding an economic way to deploy their ATM network across large geographic areas that have limited cyber-secure IP connectivity options. MSS uses the same encryption, AES-256, as commercial Virtual Private Network (VPN) routers. Your network becomes an extension of our terrestrial VPN tunnels, bridging through the satellite network, enabling secure end-to-end connections between the remote client (ATM) and the server (ATM Switch). This AES-256 encryption, which is designed for FIPS 140 Level 2 compliance, facilitates implementation of secure communications for financial transaction activities, such as ANSI X9-based Financial Services. In coordination with a Phillipine bank, ViaSat demonstrated a plug-and-play connectivity of an existing ATM Client in the Philippines that was connected to the bank's ATM Server via the ViaSat MSS network. The ATM was powered on and operated securely and reliably with the ATM Server.